was completed in 1965 and stands 630 feet tall. Tall enough to span the Washington Monument! 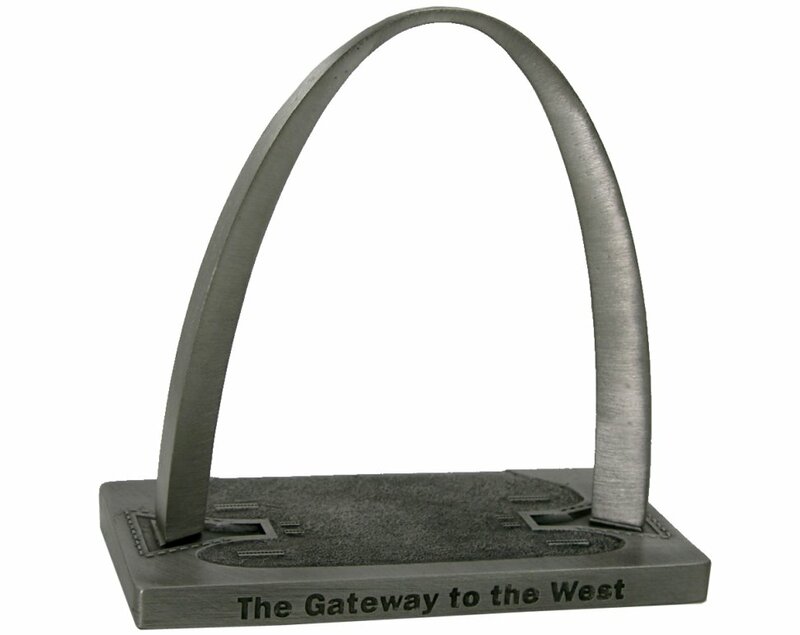 The St. Louis arch was designed by architect Eero Saarinen and structural engineer Hannskarl Bandel in 1947. Sadly, Saarinen did not live to see the great American icon he created. Our 150' scale metal replica stands just under 4-3/4" inches tall and is finished in antique pewter.